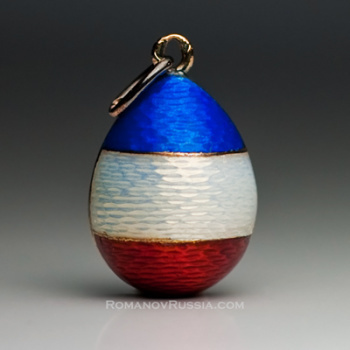 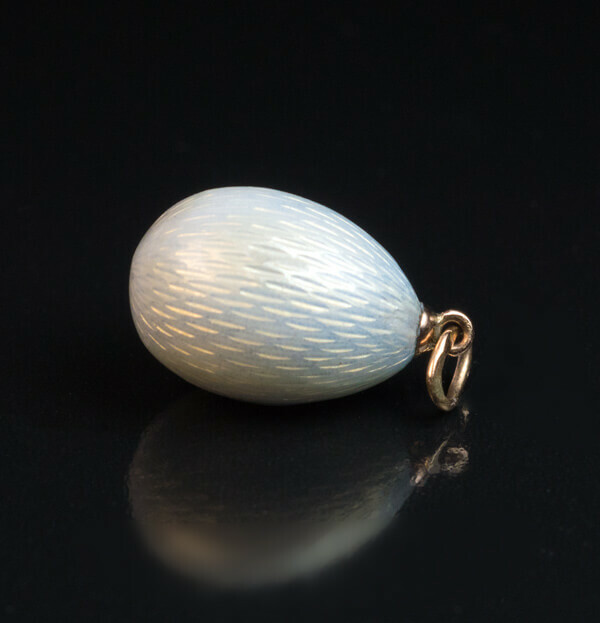 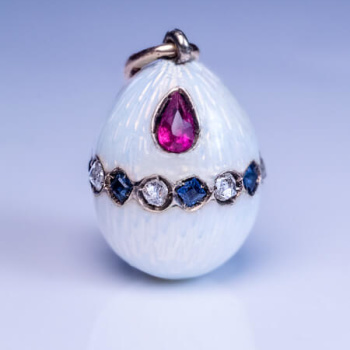 This is a rare original tsarist era Peter Carl Faberge miniature egg pendant. 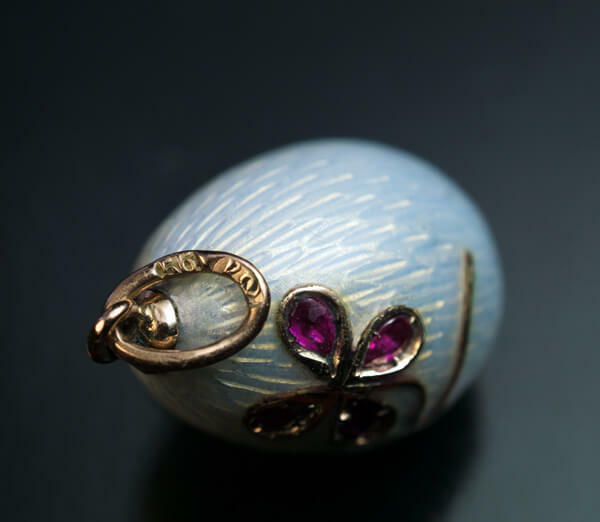 The egg is covered with a pearl white guilloche enamel and embellished with a four petal flower designed in Art Nouveau taste. 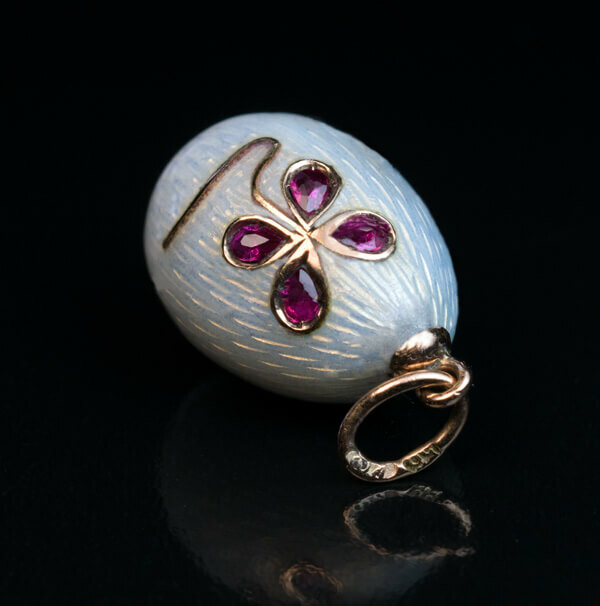 The flower is set with four pear cut rubies. 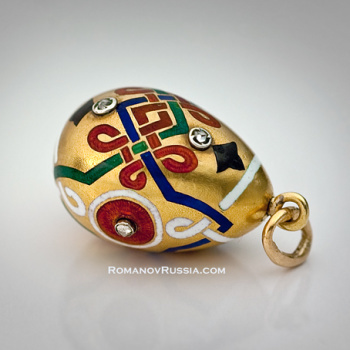 Marked with 56 zolotnik Imperial gold standard (14K) and “КФ” for Carl Faberge. 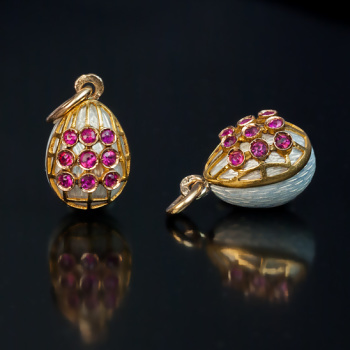 Condition: a minor restoration of enamel at the tip of the egg below the gold mount.